Now that Apple has launched its own iPhone Upgrade Program, customers have several different options when it comes to upgrading to a new iPhone 6s or 6s Plus. 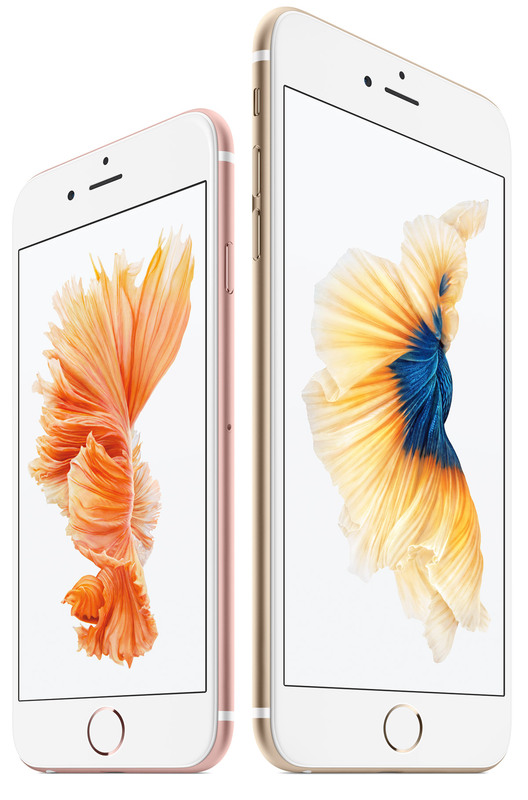 iPhone 6s and 6s Plus pre-orders start at 12:01 AM on September 12th (early Saturday morning). Experience has shown that customers who go online at that time have the best chance of getting the iPhone they want delivered at the earliest possible time—which this year is September 25th. Here are four ways you can do the upgrade. 1. Online with your current carrier, as early as September 12th, 12:01 AM PDT. If you prefer to work with your carrier directly and you have already created an online account, you can log in, select the iPhone that's eligible to upgrade, and select your new iPhone 6s or 6s Plus. The downside here is tha carriers seldom seem to get sufficient inventory to deliver the iPhone as quickly as Apple. Plus, it can sometimes be frustrating to work with the overloaded carrier's servers and other customers all online at the same time in the wee hours. 2. Go to your local carrier store on the morning of Saturday, September 12th. This option avoids having to get up early in the morning, especially on the East coast. 12:01 AM PDT is 3:01 AM EDT. The advantage is that you can ask questions about your plan and the purchase options right there in the store with knowledgeable sales people. The downside is that these stores typically get very crowded the morning after orders start. You may wait for a very long time to chat with an agent, and by the time you do, many hours will have passed as others purchase online and gobble up available selections. You may not get your iPhone as early as others do. 3. Online with Apple, as early as 12:01 AM PDT September 12th. You can use a computer and a browser to go to Apple's online store (now merged with the product pages) or you could use Apple's Apple Store App. Or try both to see which connects more quickly. Even Apple's servers will be very busy. The advantage of using the Apple Store App is that you can check out more quickly if you have Apple Pay set up and are using an Apple Pay compatible device. The list is at the end of this Apple page. When you purchase online, you'll enter the phone number of an iPhone that's eligible for an upgrade, select the options for the new iPhone, identify your carrier and select the payment plan. 4. Apple's new iPhone Upgrade Program, which the company is rolling out first in the U.S. As in option #3 above, you can go online as early as 12:01 AM on September 12th, but in this case, you'll be selecting the desired iPhone and then making an appointment to pick up your unlocked iPhone at an Apple Store retail location in the U.S. on or after September 25th. When you get to the Apple store at your appointment time, be prepared for a credit check. You'll then be required to activate your iPhone with AT&T, Sprint, T-Mobile or Verizon. You can pick your carrier's service options, but there's no financial commitment to the carrier because you're acquiring the iPhone from Apple as a lease/loan. Here's a good article that explains the Apple iPhone Upgrade program in more detail. From TMO's Bryan Chaffin "How to Make That Last AT&T Next Payment to Upgrade to iPhone 6s Right Away." From TMO's Dave Hamilton: "Comparing Apple’s iPhone Upgrade Program with AT&T, Verizon, Sprint, T-Mobile"
Here's how to check your iPhone upgrade eligibility from AT&T and Verizon.